Full truckload and less than truckload shipping are great options for businesses looking for an economical, efficient way to ship their goods. When your business needs to move your product domestically, you have a few options. The fastest way to get your shipment to its destination is through air freight – but it is more suitable for time-critical shipments than it is for your everyday needs. Ground freight, on the other hand, is economical, affordable, and efficient. It is a good option for businesses of all sizes! Within the ground freight realm, you have two other options to choose from. 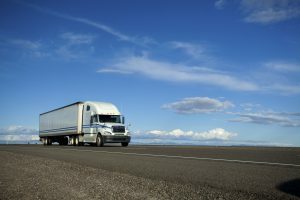 Full truckload (FTL) and less than truckload (LTL) shipping serve unique purposes, so carefully consider the needs of your business when you decide between the two. Here are the main differences between full truckload and less than truckload shipping. Full truckload shipping dedicates an entire truck to the job of shipping your products. If your company needs to ship in bulk and need a reliable, economical method to get the job done, FTL shipping could be a great fit for your needs. The initial cost of FTL shipping may seem a little high until you consider that it is more affordable than breaking up a full shipment into several smaller less than truckload (LTL) shipments. On the other hand, if your business needs to ship an amount of goods that can’t fill up a whole truck, less than truckload (LTL) shipping is a great option. LTL shipments generally weigh between 100 and 10,000 pounds and you only pay for the space that you need to use on the truck. It is ideal for businesses that work with lower volumes of goods. However, since there are other LTL shipments grouped together on the truck, shipping times tend to be a little longer than the FTL option. If your goods are on a tight schedule, air freight could be a better option for your needs. This entry was posted on Thursday, February 16th, 2017	at 2:52 pm	and is filed under Domestic Shipping, Shipping Methods	. You can follow any responses to this entry through the RSS 2.0	feed. Both comments and pings are currently closed.